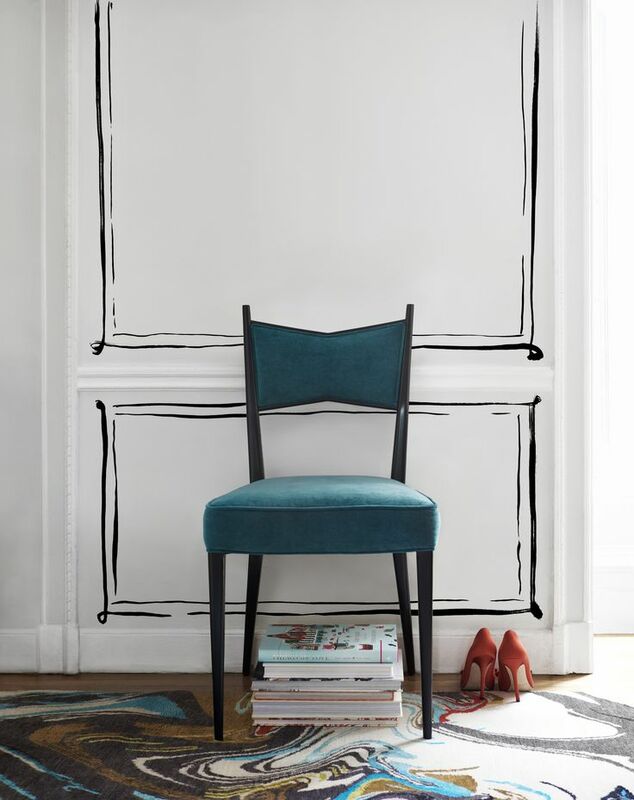 Say hello to the most exciting launch to happen in furniture! Kate Spade has launched Kate Spade Home, a fanciful home furnishings expansion to the iconic brand. “We translated iconic Kate Spade New York designs like subtle bow accents, as well as signature colors and fabrics, such as shocking pink linen and turquoise velvet, into stylish and unique home items” – Deborah Lloyd, Kate Spade New York president and chief creative officer. 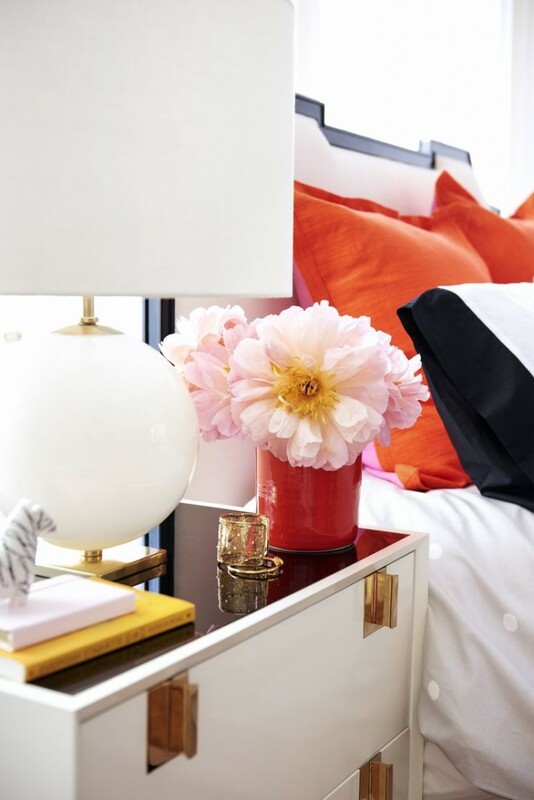 The bright, cheerful collection includes furniture, lighting, rugs, pillows and bedding. There are nearly 60 pieces available for purchase on their website, and more (an additional 325 pieces!!) to come in spring 2016. The pieces are chic, classic and just the right twist of wit and wonder that Kate Spade is known for. 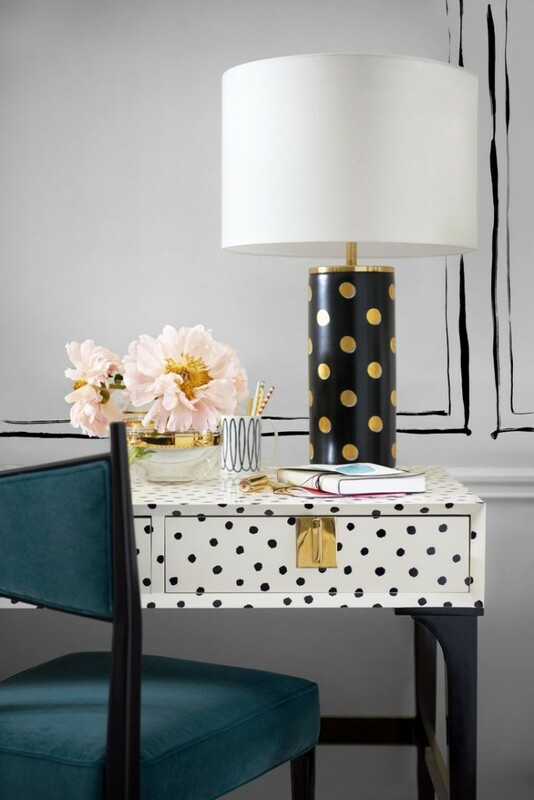 The Kate Spade brand has successfully offered china, linens, desk supplies, and paper goods in past collaborations with major department stores, so this expansion into lighting, rugs and furniture makes perfect sense for the iconic lifestyle brand. I am completely enamored with the (gorgeous!) lighting collection and thrilled with the timing of the launch as we are still in the process of decorating our first home. I have already ordered a few items, including this bedding set, and these pillows (1, 2, and 3). I would love to have this lamp in our bedroom and adore this chair. What do you think of the new home furnishings? These two adorable miniature schnauzers starring in the advertising campaign fit right in with the Kate Spade brand…and make me wish they came with every order! “she’s not afraid to make mistakes. 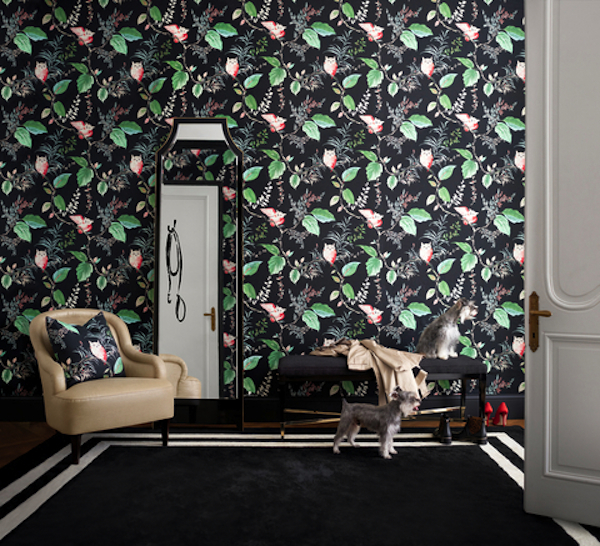 behind every door, color and humor abound – as do fresh flowers (almost) always”. 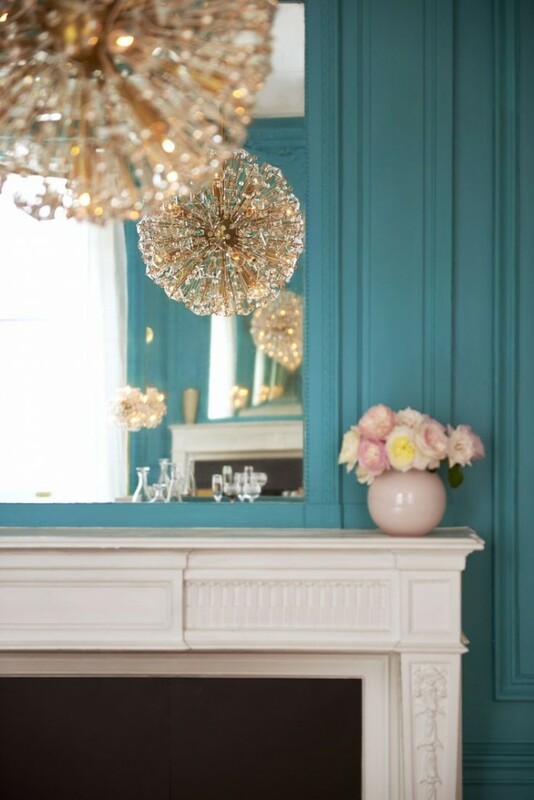 “she loves to layer all things sublime, sumptuous and exquisitely formed (and hide the rest in a cabinet). creativity and cleverness are her most valuable assets. her motto: buy what you love and you’ll never go wrong”.